Today was my last full day in Tennessee. Tomorrow I’m headed to Atlanta and then back to the mitten at the end of the week. I’m so thankful for my time in the south this summer. I’ve had an amazing experience! July has just flown by, I will be back on campus before I know it! If you’ve been following the blog or my instagram (@classycollegiate), you know I’ve been doing the Style Me July challenge. I started off strong and faded a bit at the end, but here are some of my favorite outfits for the month! 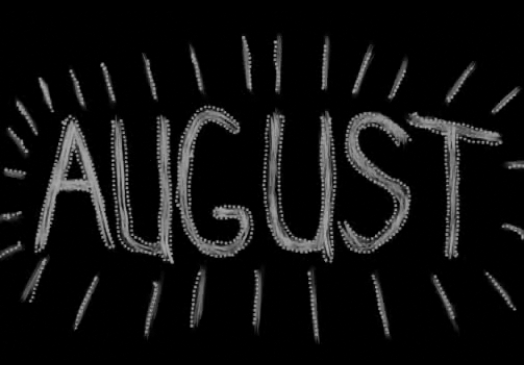 But we have now reached August! 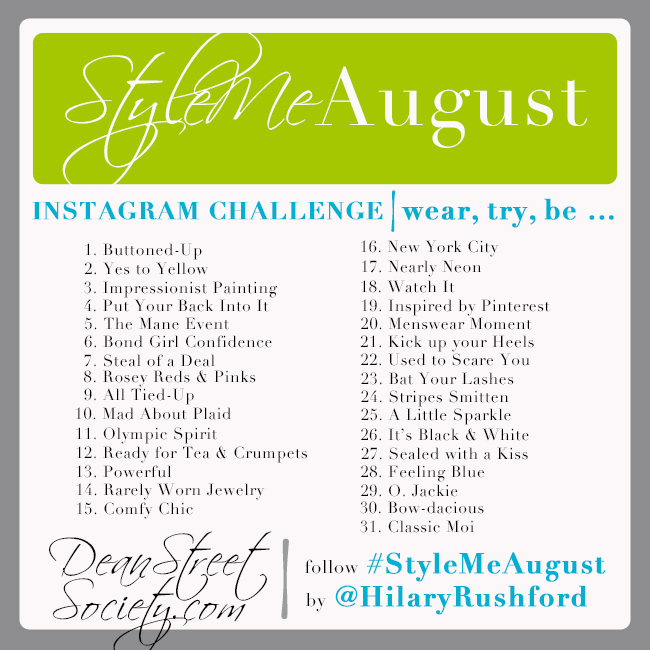 I’ll be doing #StyleMeAugust off & on (not sure how much I’ll actually be getting dressed up while I’m at home!) and you should join me! 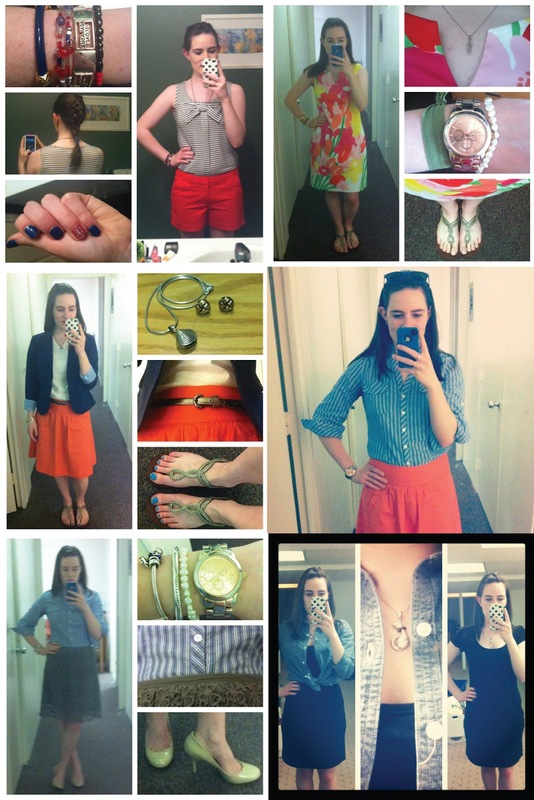 If you participate in #StyleMeAugust, I would love to see you outfits! Tag me @classycollegiate & I may even spotlight some of my favorites on the blog! While you’re off styling yourself pretty, don’t forget to take in the last days of summer! The last month of summer before we return calls for some celebration. Enter obscure holidays, courtesy of theultimateholidaysite.com. 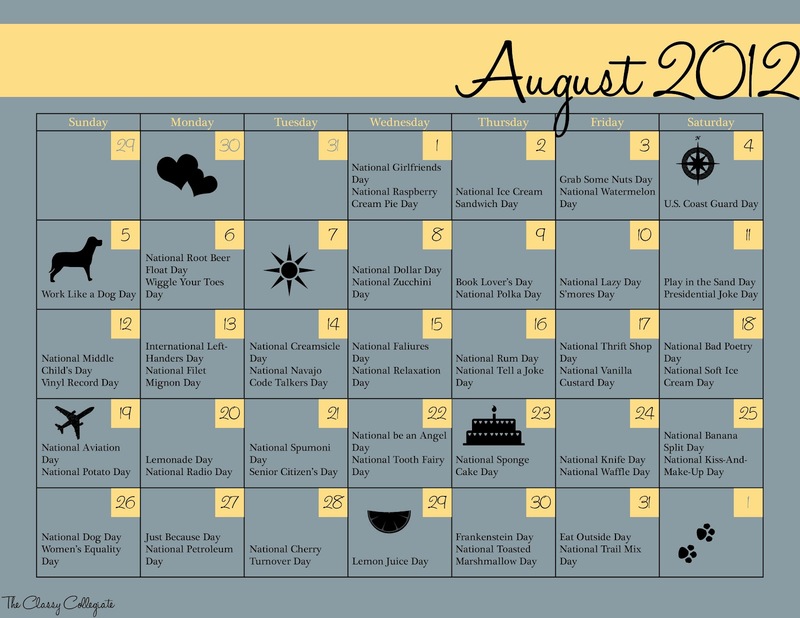 A celebration for every day of August! Except the 7th… Any ideas for a new holiday?